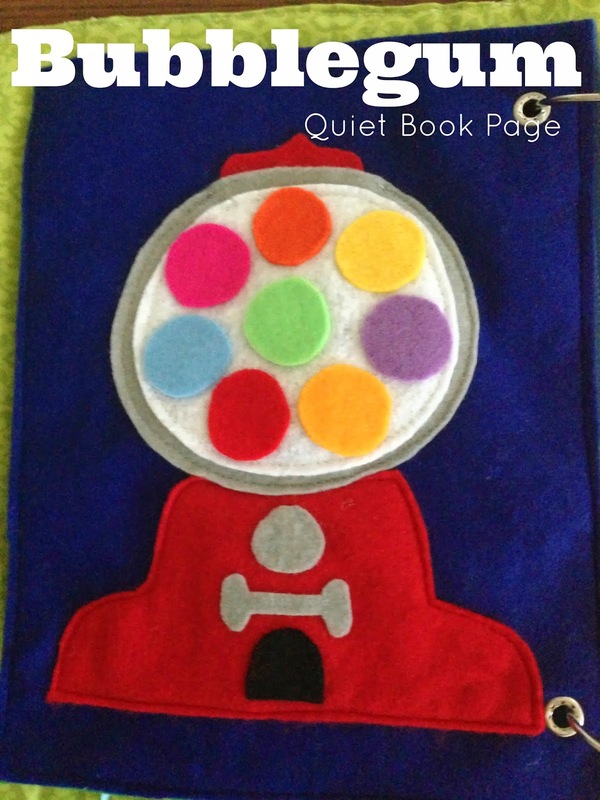 Here's another quick quiet book page for your toddler book. This bubble gum is for practicing matching skills. 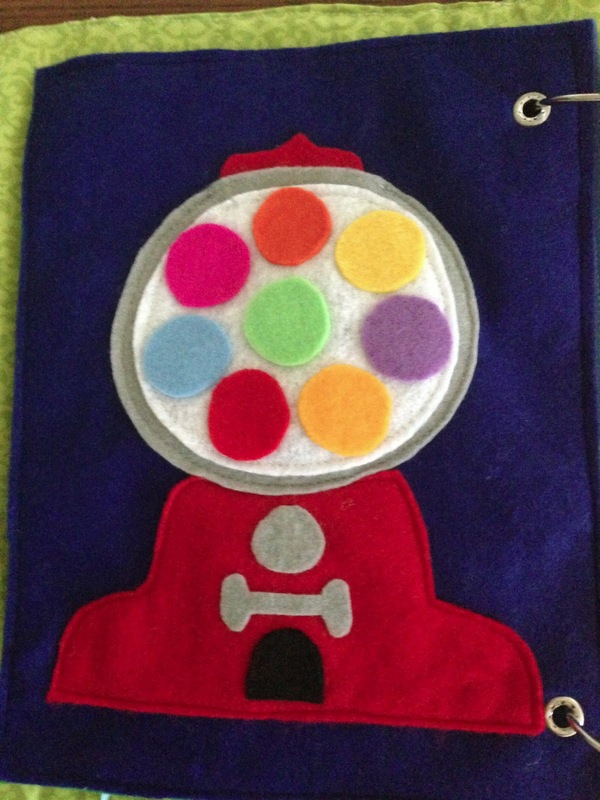 The top of the gumball machine opens and the gumballs are stuffed inside. They take them out and match them onto the already visible gumballs. This page is super easy. Just sew your circles on top of each other. Make your bottom shape resemble the machine. Next, cut out three of each colored gumball you want. I used 8 total. Make sure to make sure they actually fit inside of your gumball machine before you glue anything! 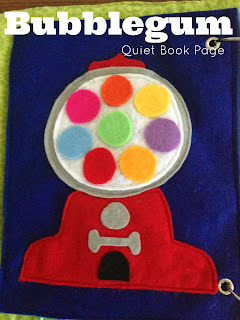 Then glue together two of the circles of each color. This thicker one will be the one that gets stuffed inside the pocket. It will hold up better to being played with. Then just set out all the gumballs on top of your white circle and use felt glue to glue them on. Don't sew here! Otherwise, you want have room behind your circle for a pocket to hold the gumballs.